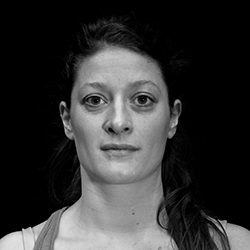 Marion Bosetti (1994, FR) studied ballet, contemporary dance, music and anatomy at the Conservatoire National Supérieur de Danse in Paris. In 2014 she joined the Atelier Rudra Béjart in Lausanne, where she practiced ballet, modern dance, singing, percussions, kendo and performed Maurice Béjart’s repertoire. For the past years, she danced as a freelancer in the Netherlands for several choreographers, Herman van Veen and performed for visual artists. Since 2017 she is part of the WArd/waRD company. 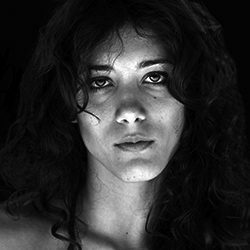 Camilla Branchetti (1995, IT) started dancing in her hometown to then further develop and specialize herself in contemporary, modern dance all around Europe. 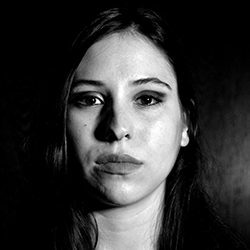 In 2015 she started her Dancer/Maker bachelor at ArtEZ institute or Arts. 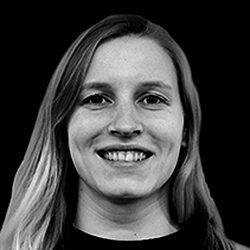 During her studies she worked alongside international choreographers and theater makers such as Cecilia Moisio, Hendrick Aertz, Michael Getman, Jasper Van Luijk, Regina Van Berkel, developing at the same time a strong interest in making her own pieces. She joined WArd/ward in 2018 as an intern. Sjoerd Bruil (1981, NL) studied English literature at Utrech University. 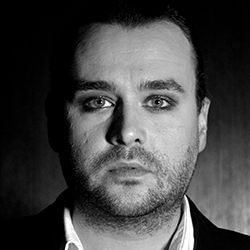 Through his studies he ended up in Antwerp in 2001 and since 2004 he focused on music with the band Sukilove. Since then he played in numerous groups. Currently he plays for Gruppo Di Pawlowski, Millionaire, Kenji Minogue and Dez Mona. With his own band, Black Cassette, he has released two LPs. He has worked as a composer for theatre (Theater Zuidpool, Eisbär), film (Plan Bart) and television (13 geboden). 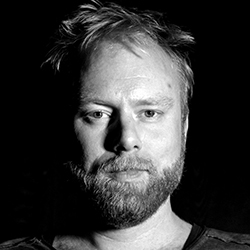 Sjoerd works as a performer and composer for Blueprint on Memory by WArd/waRD. Louis Combeaud (1984, FR) studied law at the Université Montesquieu – Bordeaux IV. He studied dance at the Coline Compagny in Marseille and later at P.A.R.T.S. in Brussels. 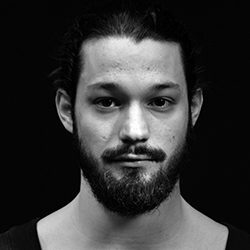 He has worked in Iceland with Vedis Kiartansdöttir, Inga Huld and Simon Portigaln and at Charleroi Danses with Pierre Droulers. He has also performed in pieces by Michel Kéléménis and Anne Teresa De Keersmaeker. He has been part of WArd/waRD’s company since 2014. Estelle Delcambre (1983, BE) studied dance at the CNDC of Angers (FR) from 2001 to 2003. She began her career as a performer with Nathalie Béasse, David Hernandez and Ann Van den Broek. She met Jens Van Daele in the Netherlands and participated in some of his creations. In 2011, she created with Ivan Fatjó Madriguera a Work in Progress. In 2012, she met Satya Roosens with whom she collaborated. In 2014, she participated in a creation with Didier De Neck as director. 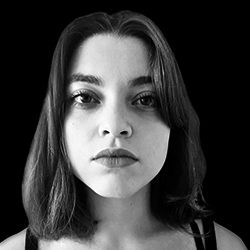 Besides her work with WArd/waRD she is currently performing by Nathalie Béasse and she continues a personal research with visual artist Evelyne de Behr. Gregory Frateur (BE) is well-known for being a member of the Belgian band Dez Mona. The band plays a combination of jazz, gospel, pop and spirituals. His most notable characteristic is his great vocal range. For The Red Piece by Ann Van den Broek, Dez Mona composed a number of new songs for the music composition of the piece. And in The Black Piece (2014), Gregory Frateur could be heard and seen on film. He collaborated again with Ann Van den Broek in Accusations (2017). They were both inspired by Peter Handke’s play, Selbstbezichtigung. And he is also one of the performers in Accusations. Anthony van Gog (1996, NL) studies at the Institute of Performative Arts, Maastricht. 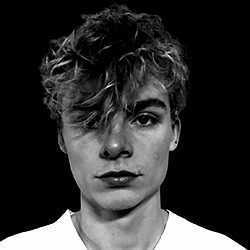 During his study he is being educated in different art disciplines such as Performance Art, Installation Art, Word, Theater and Physical Movement. He was tutored by Guilherme Miotto, Peter Missotten, Joris Camelin and Anna Luyten. Next to his study he follows a Minor in Philosophy at the University of Maastricht. In his own work he is always searching for an interweaving between the Theatrical and Fine Arts. He performs for Ward/waRD as an intern. Wolf Govaerts (1996, BE) started studying classical ballet at the Royal Antwerp Ballet Academy. After three years, he transferred to the Kunsthumaniora in Brussels to study modern dance. He continued his studies at the Amsterdamse Hogeschool voor de Kunsten – Moderne Theaterdans, which he completed in 2017. During his studies he worked with choreographers and theater makers such as Cecilia Moisio, Liat Waysbort, Grainne Delaney, Heidi Vierthaler & Edan Gorlicki. 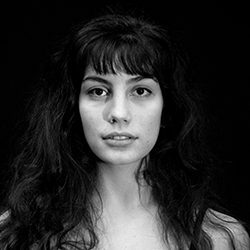 Laila Gozzi (1993, IT) moved to the Netherlands in 2013 to study dance at Codarts in Rotterdam. During her studies she danced in repertoire by Martha Graham, Jiří Kylian, Ton Simons and in works made by Juanjo Arques, Kyle Abraham and others. She joined WArd/waRD to perform in Accusations, Accusations solos and some old repertoire. Laila is a certified GYROKINESIS® trainer. 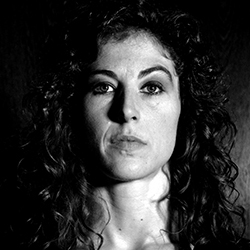 Carla Guerra (1995, PT) had her first contact with dance in her hometown where she studied ballet, hip hop, modern dance, contemporary techniques and theater. In 2015 she moved to the Netherlands, and became a student of the Dancer/Maker bachelor at ArtEZ. Both in Portugal and the Netherlands she had the opportunity to work and perform with choreographers such as Peter Michael Ditz, Elisabeth Lambeck, Mafalda Deville, Cecilia Moisio and Carolyn Carlson. Currently Carla is joining WArd/waRD as an intern. Even though Frauke Mariën (1982, BE) feels she is more of a musician than a dancer, she feels at home in both worlds: she graduated from P.A.R.T.S. in 2004 and then attended the Antwerp conservatory to study the oboe and the violin. Since then she has been a freelance performer in dance, theater and music projects. Sometimes as a dancer, at others as a musician or as a (co-)choreographer. She has also performed with several orchestras and smaller ensembles. She has participated in several WArd/waRD productions since 2005. 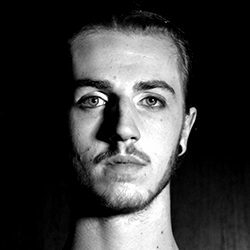 Jean Gabriel Maury (1991, FR) started training contemporary dance intensively in 2007 for four years at Opus Ballet school in Florence (IT). He followed his training by entering Codarts Rotterdam Dance Academy in 2011 where he graduated in 2013. He danced for different choreographers at Scapino Ballet from 2013 until 2017. In 2017 he joined the WArd/waRD company. 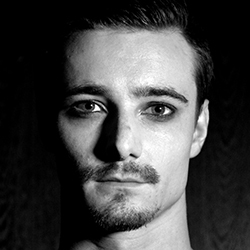 Nik Rajšek (1993, SI) started his dance education in 2011 at the Amsterdamse Hogeschool voor de Kunsten – Moderne Theaterdans and graduated in 2015. During his studies, he did internships at Club Guy and Roni in Groningen, and later he performed with the Slovenian company And-Knap. He has been part of the WArd/waRD company since 2015. 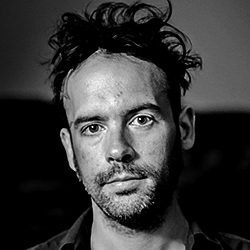 Nicolas Rombouts (1977, BE) is a musician, an audio tinkerer, as well as an engineer, mixer and producer. For thirteen years, he and Gregory Frateur were the key members of Dez Mona. He composes music and soundscapes for theater productions by companies such as Theater Artemis and InVitro. His music is very expressive and he uses that same expressiveness in soundtracks for short films. 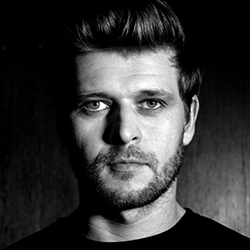 Nicolas Rombouts also plays the (double) bass with artists like Guido Belcanto, Stef Kamiel Carlens, cellist Simon Lenski, Stanton, Geert Hellings and Matt Watts. He has been involved in the productions of WArd/waRD since 2013. 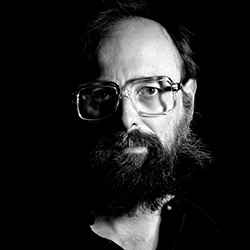 Not only did he make soundscapes for the productions, but was also a consultant for the performance content of his compositions. Meike Stevens (1993, NL) studied Italian Language & Culture at Utrecht University. She completed her dance education at the Royal Conservatory in Antwerp, dancing in choreographies of, amongst others, Sidi Larbi Cherkaoui, Anton Lachký and Jos Baker. She danced in a duet choreographed by Zoe Leduc at Dansateliers Rotterdam (2016)and in 2017 in the piece Grensgeval (Toneelhuis Antwerp) by Guy Cassiers and Maud Le Pladec, with whom she performed at Festival d’Avignon after an international tour. She joined WArd/waRD as an intern in 2018. Bernie van Velzen (1976, NL) studied Stagecraft at the Theaterschool in Amsterdam. He then worked for various companies as a lighting and video technician. During that time, he started focusing on creating video and lighting designs for productions. Since then, he has made designs companies such as Dansgroep Amsterdam, Mightysociety, Toneelgroep Amsterdam, Toneelgroep Oostpool, Toneelschuur Producties, Schauspielhaus Bochum and Het Nationale Toneel (Het Nationale Theater). He has been working with Ann Van den Broek since 2002. He has made lighting and set designs for several productions. In The Black Piece and Pushing The Wheel, he was also on stage as cameraman.